In 1953, Cashin joined Sills & Co. to design an experimental collection of leather separates. The collection was so starkly modern that the New York Times likens the models to “ladies from Mars.” Credited as being the first designer to use leather for high fashion garments, Cashin would continue to specialize in the material throughout her career. In 1955 Cashin purchased Tantamount, a drafty country house in upstate New York. Many of her most lasting designs were developed by the “deep freeze”wardrobe that she required, including ballgown skirts make of mohair throws and fur-lined coats with “chiller-killer” necklines. 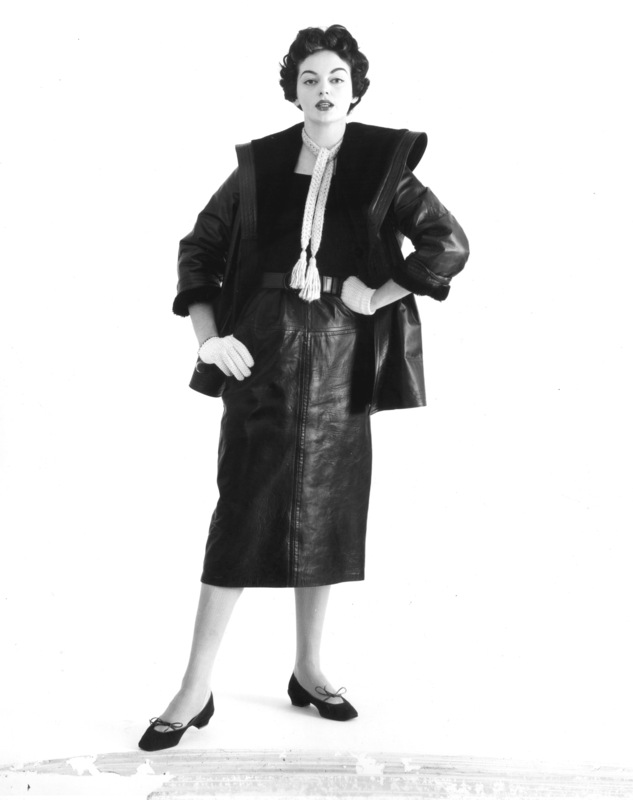 Cashin’s house and her collection was featured as a Universal newsreel titled “Fashions in Leather,” which included a mini-leather skating skirt. My inspiration everyday at work.